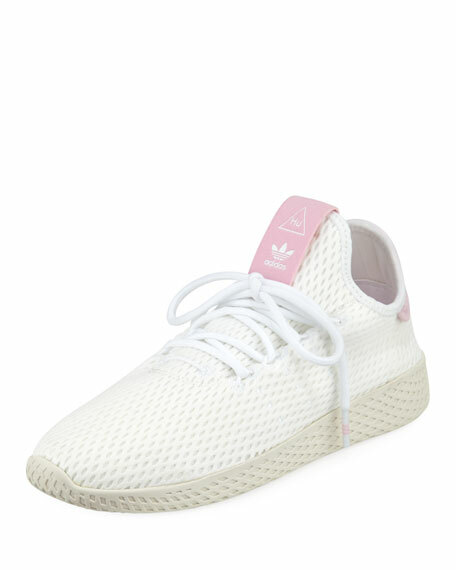 Adidas knit mesh tennis sneaker with leather trim. 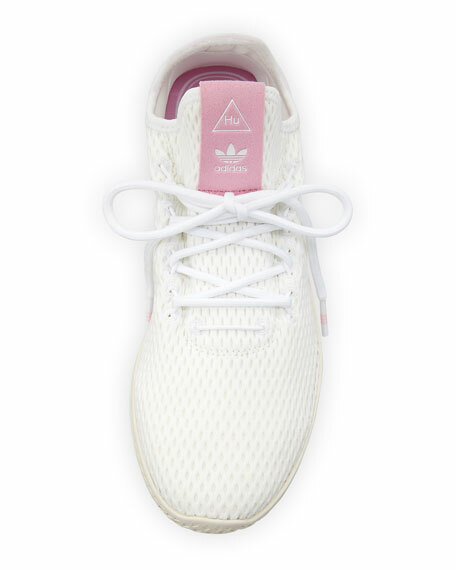 adidas sneaker designed in collaboration with Pharrell Williams. 1" perforated flat heel with platform. Contrast logo at tongue and backstay. 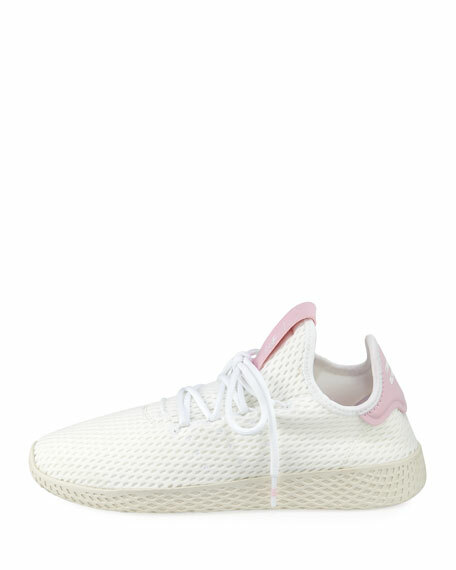 For in-store inquiries, use sku #2422720.